Can you help Rory save her Uncle's Restaurant? Follow Rory's story as she visits her hometown after her first successful restaurant business!Serve the quirky customers and impatient VIPs 18 unique international recipes. 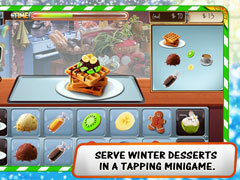 Enjoy hidden object and dessert serving minigames as well! 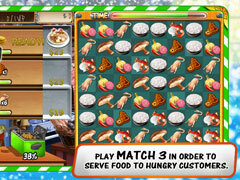 Rory's Restaurant Winter Rush features the amazing mix of Match 3 game cooking theme that everyone loves! -Follow up Rory's story as she visits back her hometown! -Serve 18 different recipes from around the world and learn interesting fun facts! -Comes with quirky customers and edgy VIPs to test your cooking skills! 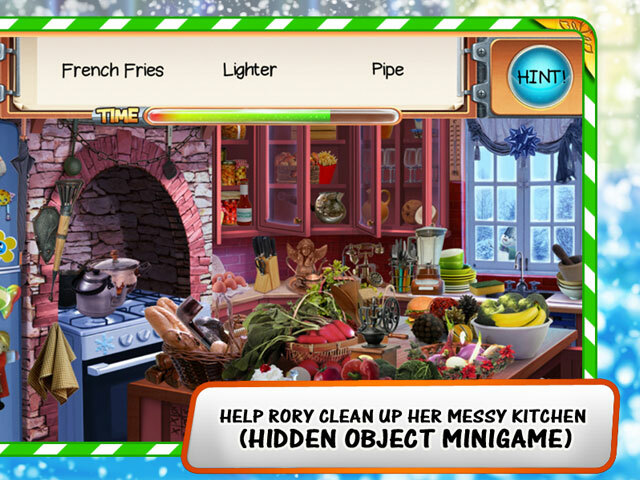 -Also play Hidden Object and dessert serving minigames!